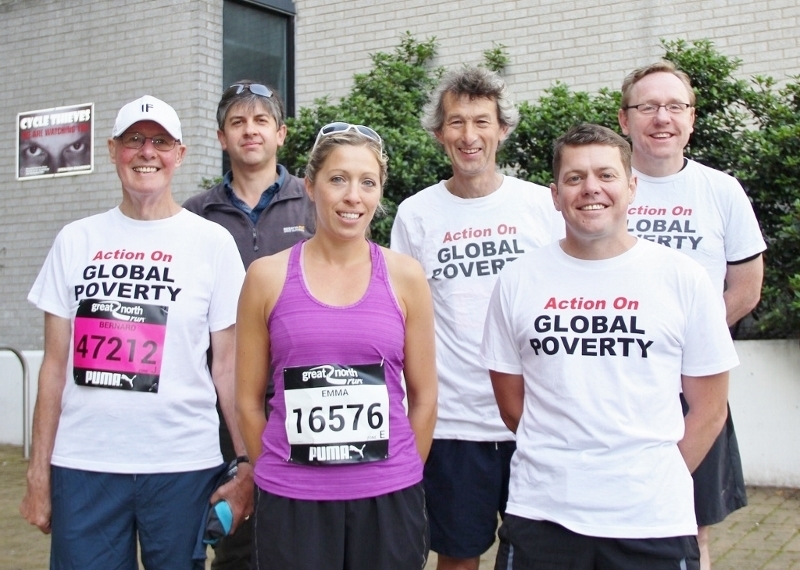 ‘Action on Global Poverty and Action on Climate Change’! BALLOT FOR PLACES NOW OPEN! Generous concessions are available to students! •	If you’re unlucky in the ballot, let the Manager know immediately. You’ll have a high priority for one of the team’s 25 ‘charity places’, at the same price. The Great North Run is the greatest mass-participation sporting event in the world and over a million people have taken part in it. Each year, it’s covered extensively on BBC 2. It’s a ‘Run’, not a ‘Race’, and anyone in reasonable health who’s prepared to take the training seriously can complete it and enjoy doing so. For 2018, it’s scheduled for Sunday 9th September, two weeks before the start of term at Newcastle University. Our nationally acclaimed ‘University Team’ raises awareness and funds for what are surely the two greatest challenges facing the human race – namely, global poverty and climate change – and to support action on the horrendous humanitarian crises currently in the news. Each team member has a wide choice as to which agency should receive a substantial proportion of the funds they raise. A training seminar and a social, at which technical know-how and experience is shared, instil a sense of community and purpose; help with fundraising is varied and imaginative; and team photo’s before the Run and individual ones at the Finish provide great mementos of a wonderful experience. 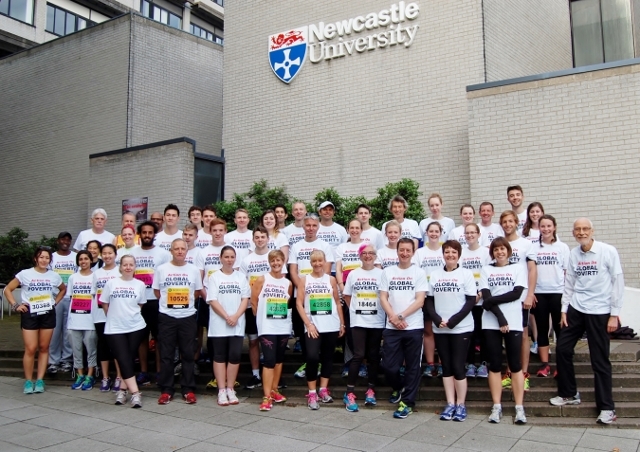 “Hand on heart, I have to say that the support given by Dr Golding is an inspiration to everyone ready to follow into the challenge of the Great North Run” (Professor David Leat, Team Captain). For further information about the team and the agencies it supports, click here. A training seminar and a social, at which technical know-how and experience is shared, instil a sense of community and purpose; help with fundraising is varied and imaginative; and team photo’s before the Run and individual ones at the Finish provide great mementos of a wonderful experience. 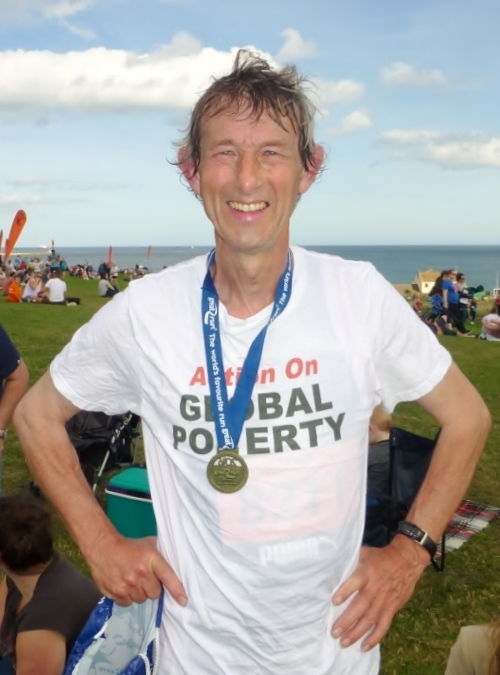 “Hand on heart, I have to say that [the support given by] Dr Golding is an inspiration to everyone ready to follow into the challenge of the Great North Run” (Professor David Leat, Team Captain). Posted in What's on	| Comments Off on Jubilee Debt Campaign comes to Newcastle! Northumbria University and the Co-operative College invite you to find out how Fairtrade and co-operative production empowers women in Palestine and India, at a special event for International Women’s Day. During Fairtrade Fortnight, Northumbria University will be hosting two visitors from Zaytoun, a community interest company which finds a market place for Palestinian produce in the UK. Our visitors produce organic and Fairtrade olive oil and almonds, as well as large grain couscous maftoul and spice mix za’atar. We will also be hosting Veena Nabar who has made a short film about co-operatives and coconut production in the Indian territory of the Andaman and Nicobar Islands. addition to hearing about their work there will be chance to sample a wide range of Fairtrade products, network and to ask questions to our speakers more informally. For a Flyer, click here; and for the Agenda & Announcements, click here. Opportunity to support actions on humanity’s greatest challenges, via agencies with an outstanding track record! What other team offers the following? 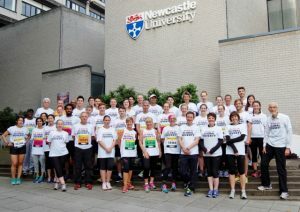 •	Fantastic team photo’s just before the Run and at finish! •	Go to http://www.greatrun.org/great-north-run and click on the green ‘Enter’ button on right of screen. •	If you’re unlucky in the ballot, let Dr Golding know immediately. You’ll have a high priority for one of the team’s 25 ‘charity places’, at the same price (£54). The Great North Run is the greatest mass-participation sporting event in the world and over a million people have taken part in it. Each year, it’s covered extensively on BBC 2. It’s a ‘Run’, not a ‘Race’, and anyone in reasonable health who’s prepared to take the training seriously can complete it and enjoy doing so. For 2017, it’s scheduled for Sunday 10th September, two weeks before the start of term. A training seminar and a social, at which technical know-how and experience is shared, instil a sense of community and purpose; help with fundraising is varied and imaginative; and team photo’s before the Run and individual ones at the Finish provide great mementos of a wonderful experience. 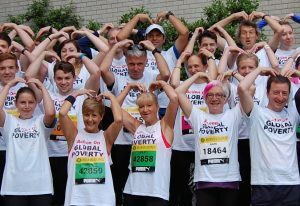 “Hand on heart, I have to say that [the support given] is an inspiration to everyone ready to follow into the challenge of the Great North Run” (Professor David Leat, Team Captain). •	If you’re unlucky in the ballot, let Dr Golding know IMMEDIATELY. You’ll then have a high priority for one of the team’s 25 ‘charity places’, at the same price (£54). 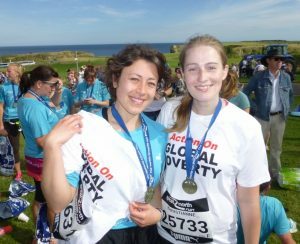 Our nationally acclaimed ‘University Team’ raises awareness and funds for what are surely the two greatest challenges facing the human race – namely, global poverty and climate change – and each team member has a wide choice as to which agency should receive a substantial proportion of the funds they raise. A training seminar and a social, at which technical know-how and experience is shared, instil a sense of community and purpose; help with fundraising is varied and imaginative; and team photo’s before the Run and individual ones at the Finish provide great mementos of a wonderful experience. “Hand on heart, I have to say that [the support given] is an inspiration to everyone ready to follow into the challenge of the Great North Run” (Professor David Leat, Team Captain). Pre-Run, The ‘Professorial Team’ (2016) (l-r): Prof Bernard Golding; Dr Phil Ansell, Dean of Sport; Prof Emma Stevenson; Prof David Leat (Team Captain); Prof Steve Vincent; Prof Phil Taylor. At the finish: Professor David Leat, Team Captain (2016). At the finish: fly-past by the Red Arrows – a great sight! (2016). PLEASE MARK THE DATE for our biggest event (correction, events!) 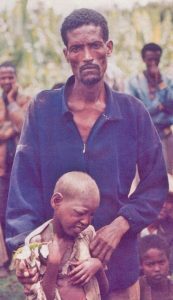 since our ‘Service of Thanksgiving and Recommitment’ for Make Poverty History in 2006! These events represent an enormous ‘coup’ for Newcastle University and our regional campaign, so please make every effort to come to one, or preferably, both of the events. And please spread the news far and wide, by Facebook, Twitter, email, etc. Flyer provided here. THURSDAY 2ND FEBRUARY 2017, AT 5.30 pm, Curtis Auditorium, Herschel Building, Newcastle University (immediately opposite Haymarket Metro). 5.30-6.45pm: 4th ‘Newcastle Jubilee Development Lecture’ – but come early if you want a seat in the auditorium! 7.30 for 7.45pm, until 9.00pm: ‘Christian Responses to Climate Change – Commentary & Panel Discussion’. PLEASE NOTE that only liquid refreshments and biscuits will be provided for those wishing to attend both sessions. The 4th ‘Newcastle Jubilee Development Lecture’, entitled “Ten years after the Stern Review on the Economics of Climate Change: Looking Back, Looking Forward”, will be given by Lord Nicholas Stern. The Lecture is sponsored by Newcastle University, the Anglican Diocese of Newcastle, and Jubilee Debt Campaign UK. 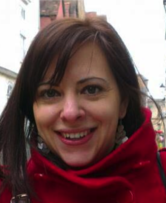 •	“Responding with lifestyle-choices”, led by Jo Herbert, a young activist from Tearfund. This event will be sponsored by the Chaplaincies of Newcastle and Northumbria Universities, with the support of the Diocese of Newcastle, CAFOD, Christian Aid, Faraday Institute, Christians in Science, John Ray Institute, BMS World Mission, Tearfund, Northern Baptist Association, URC Northern Synod, North East CALL TO ACTION and other agencies. ‘Save Druridge’ – Government steps in; sets up Public Enquiry! On 8th September 2016, Sajid Javid MP, Secretary of State for Communities & Local Government, stepped into the row over the proposed new open-cast coal mine near the beauty spot, Druridge Bay, by ‘calling in’ the application and setting up a Public Enquiry. He could have just ‘waved through’ the County Council’s decision! We may have had a role in this development, since we concentrated on the global significance of the issue in terms of climate change, providing vehement expressions of opposition to the mine from six leading scientists, and scores of other scientifically literate staff at Newcastle University. And climate change and renewable energy were matters highlighted by the Minister as requiring further consideration – the first time this aspect has been cited in this way! To read David Golding’s own statement, submitted on 11th November, click here. Posted in What's on	| Comments Off on ‘Save Druridge’ – Government steps in; sets up Public Enquiry!